Could you imagine if Free People was around during the 70’s, more specifically, Woodstock? 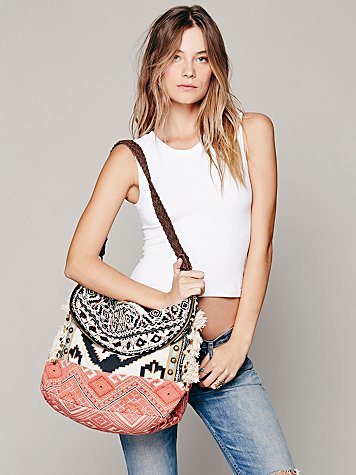 Hippies would be rejoicing everywhere that they could go to one store and find their boho, hippie chic wardrobe. In reality, Woodstock and the fashion that came from it possibly influenced Free People with their line of clothing and accessories. As I was putting this post together, it was so hard to choose my fave pieces to profile. Their site is full of wonderfullness. (Yes, I just made up that word) 🙂 Anyway, I want all these pieces and much more!!! I could go crazy on their Spring collection….it is off the hook good! Their fabrics are so soft and comfortable. In addition, their styles fit a lot of different body shapes. Easy, breezy, effortless clothes, that will look good on anyone! Squirrel approved!! Shop their site here! This take on a sweatshirt is so good! Yes, please! This bag is beyond! We all must get one. Whose with me? 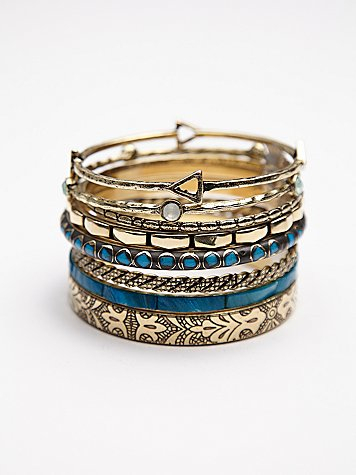 Bangles are on trend for Spring/Summer. We are loving these below for $28.00-a perfect addition to your wardrobe.